SE Santana [2017-Current], Autre Guitare Electrique Solid Body de la marque PRS appartenant à la série SE Signature. The SE Santana is the SE guitar that started it all. 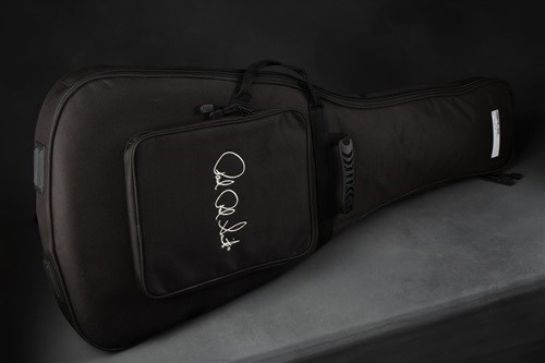 We aimed to build an affordable guitar with quality standards so high Carlos himself could play one on stage. 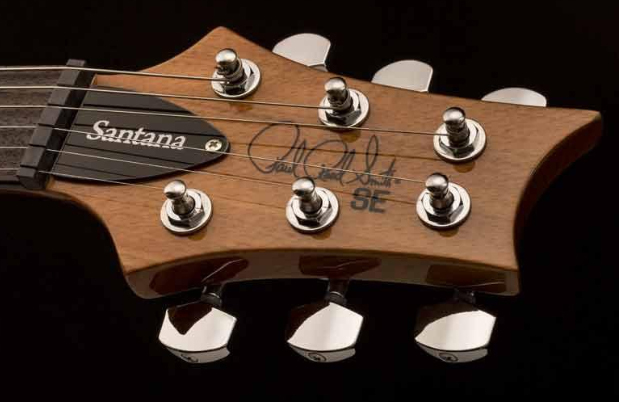 Our dream to honor Santana’s signature tone and style became a reality with the SE Santana. 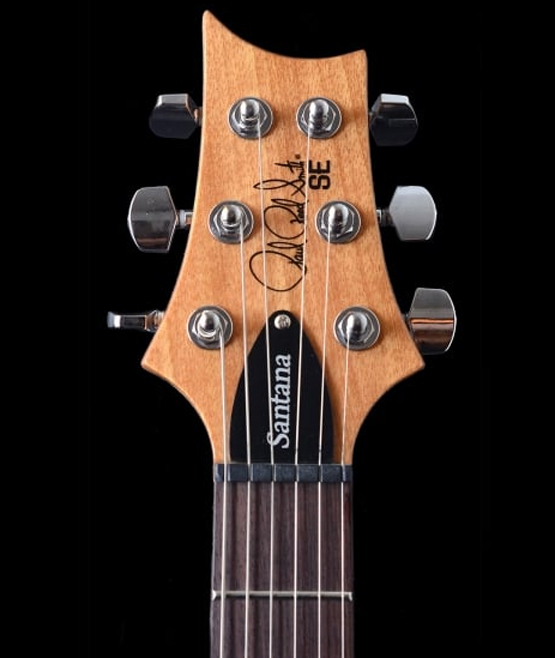 Carlos Santana’s influence as a PRS guitar player led to the development of our SE electric guitar series, which launched in 2001. 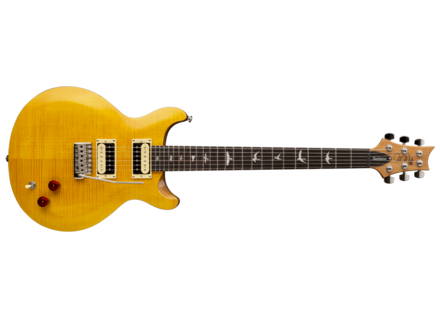 In honor of that legacy, PRS is proud to offer the all-new SE Santana. The SE Santana is the first guitar in the SE series offered with a 24 1/2” scale length and is also the first SE created using the same silhouette as Carlos’s revered American-made PRS models. We believe this guitar and its appointments honor Santana’s skill and style better than ever and offer players great quality and value. 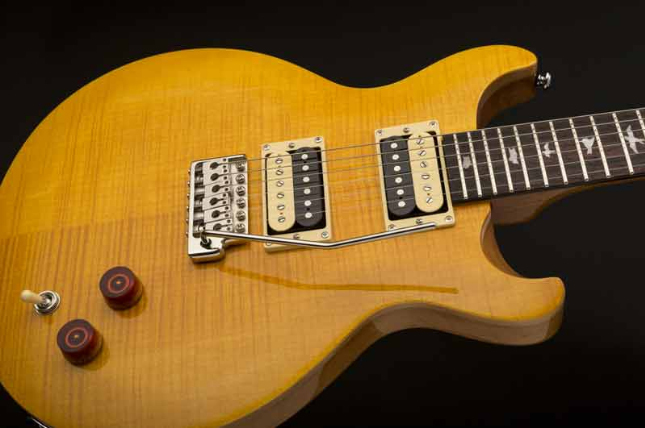 Be sure to try an SE Santana at an authorized dealer near you. Les modèles 2017 se démarquent notamment par la présence d'un nouveau logo PRS sur la tête et de nouveaux micros.